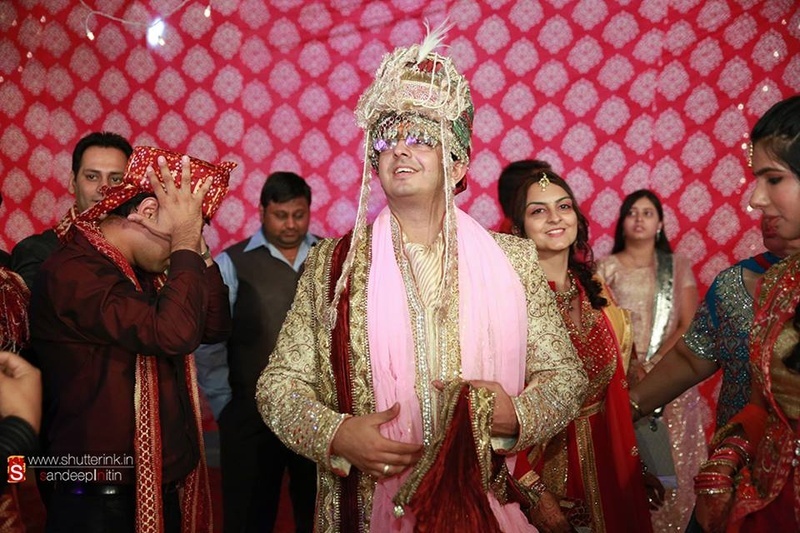 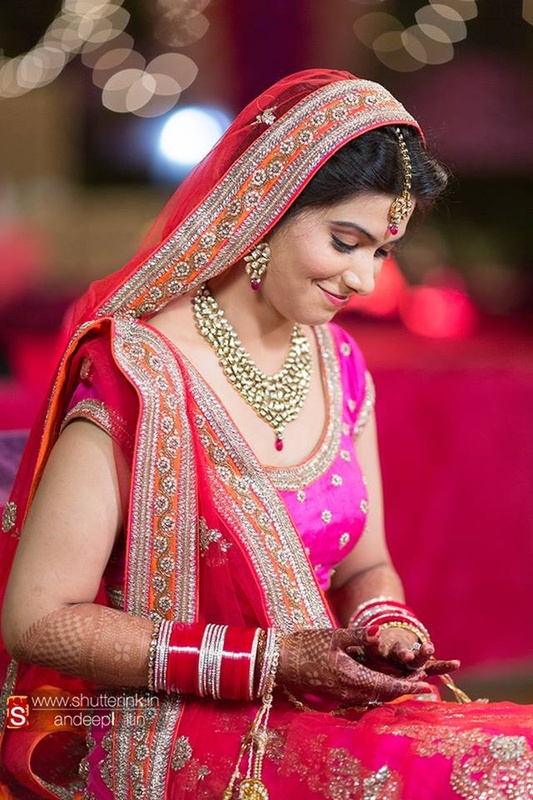 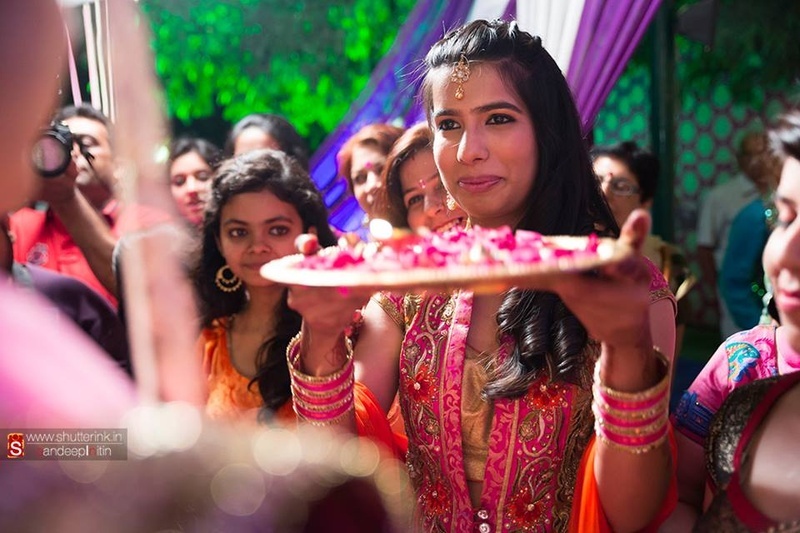 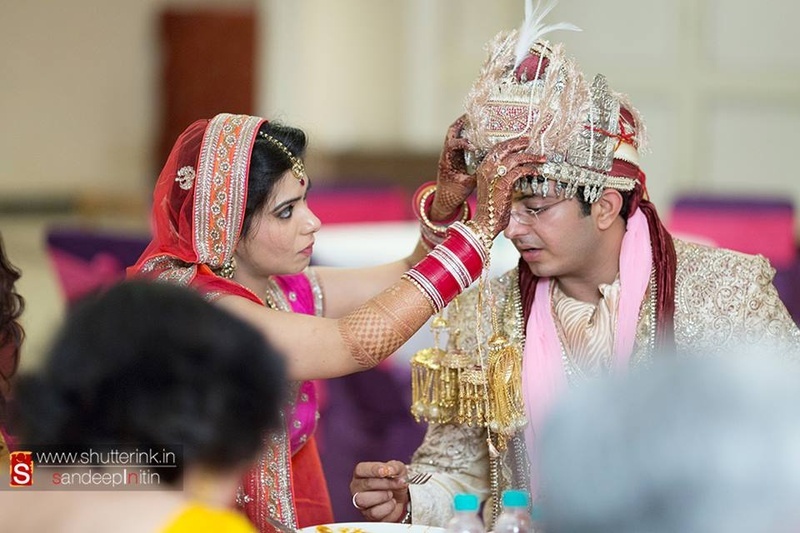 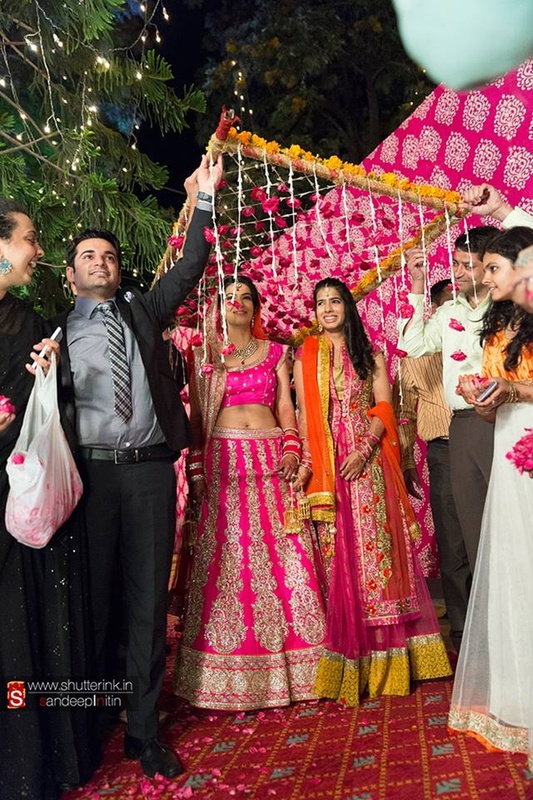 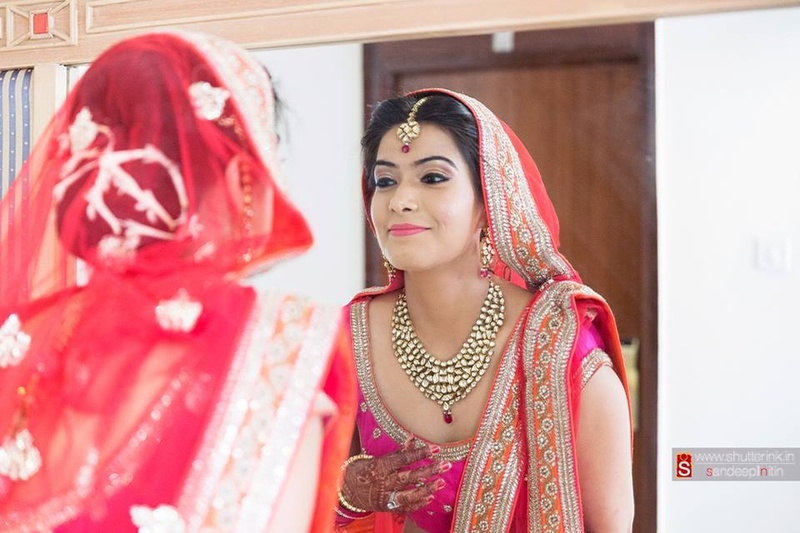 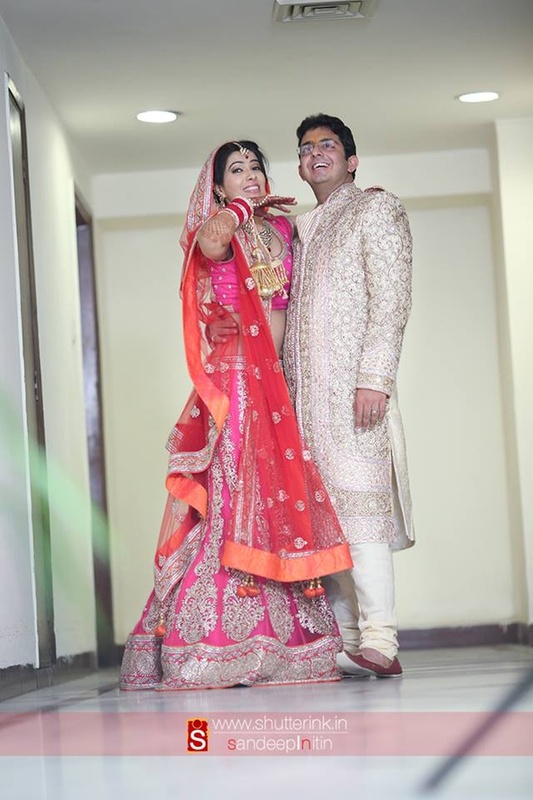 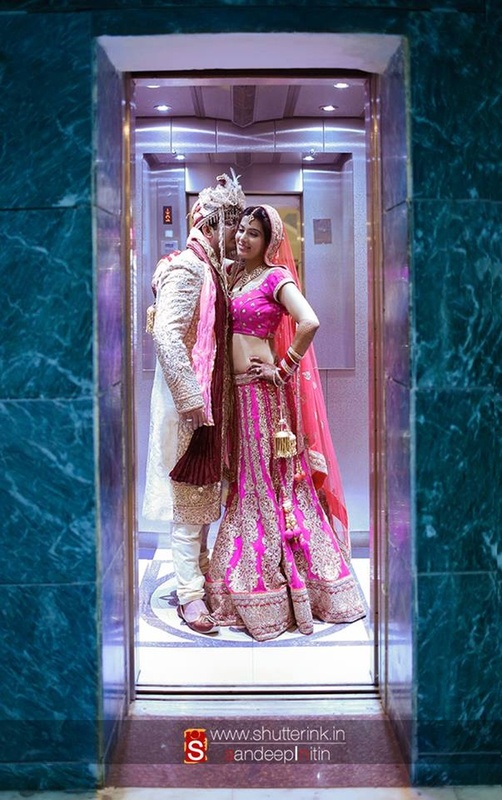 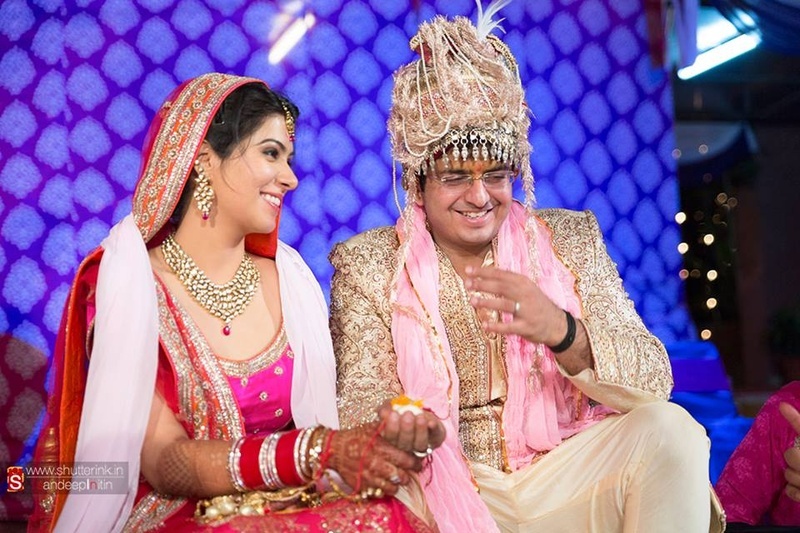 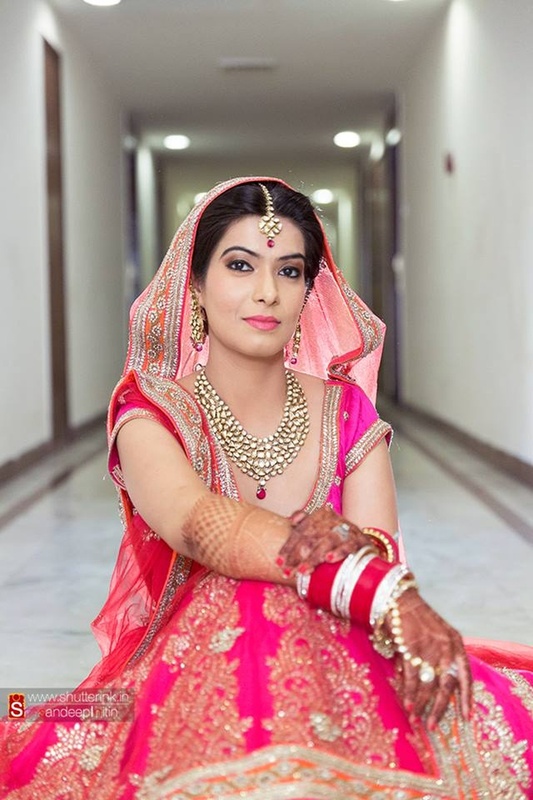 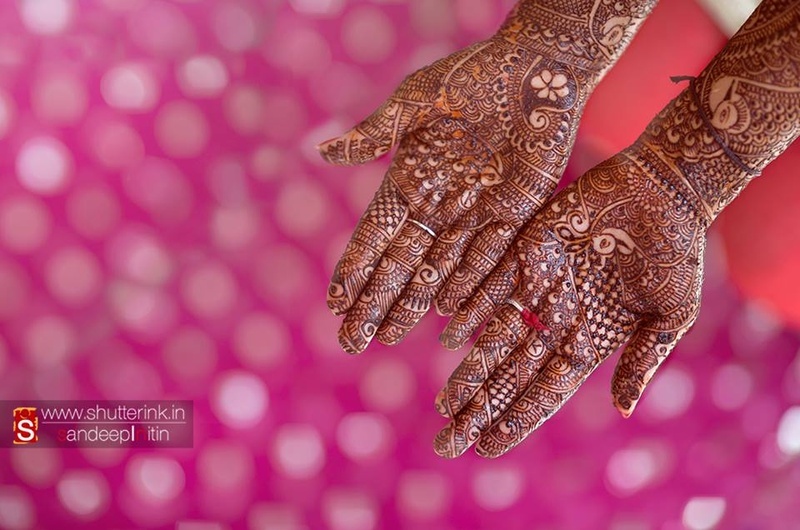 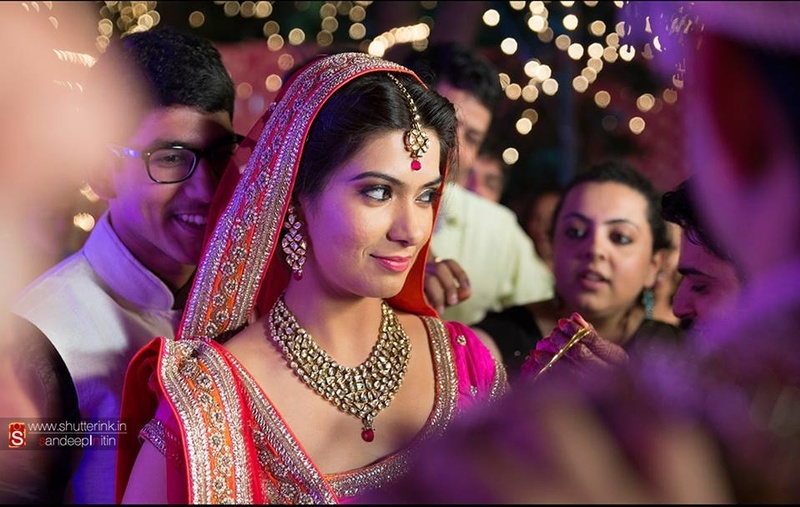 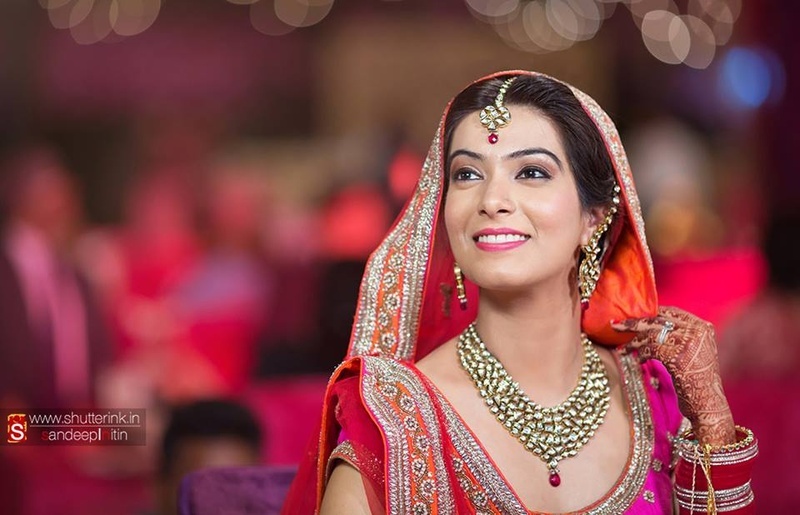 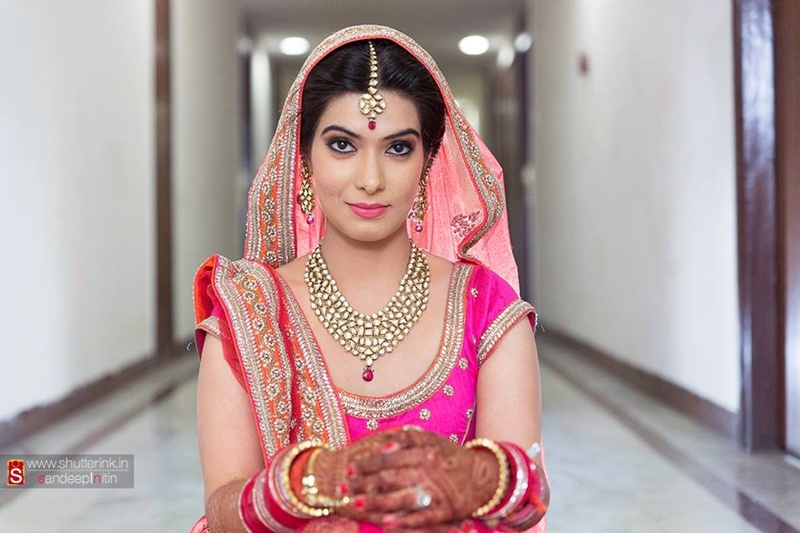 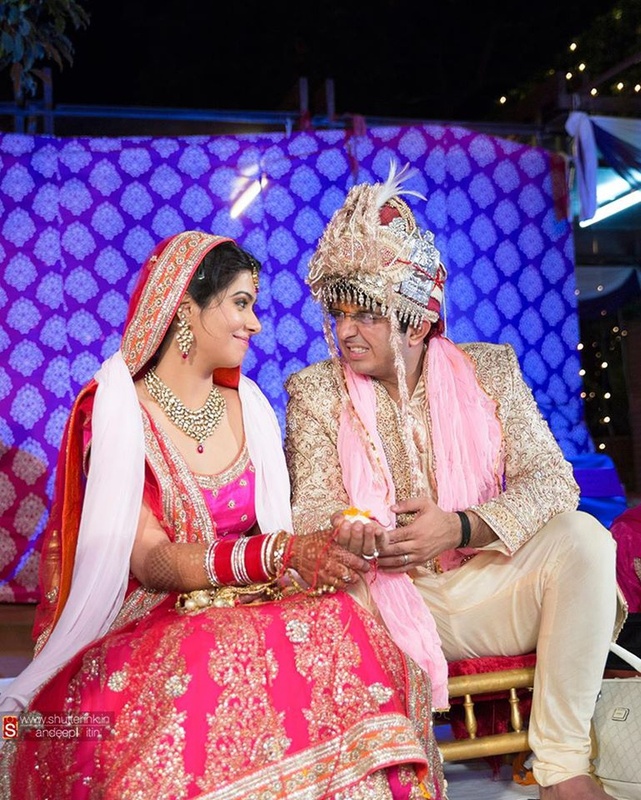 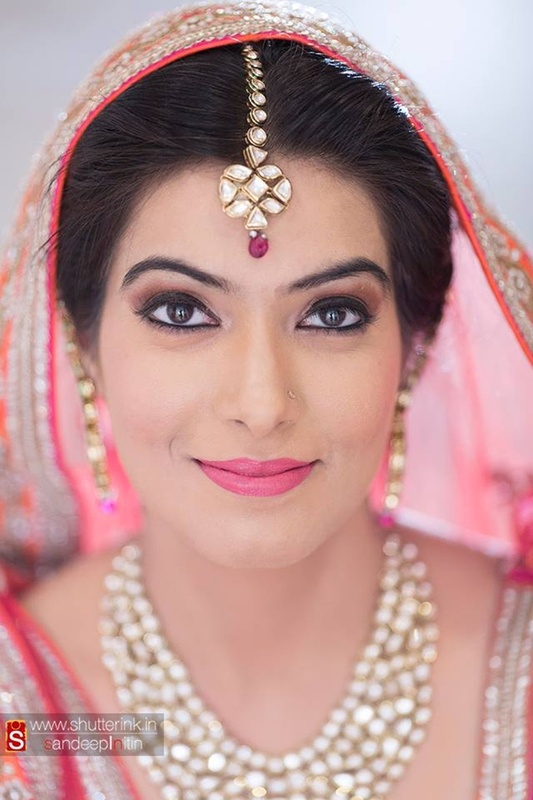 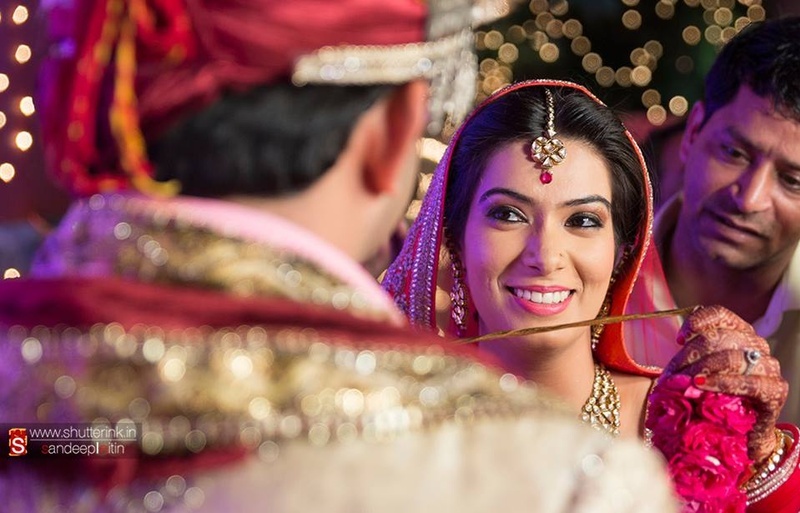 Akriti and Ankush exchanged garlands in a tastefully done wedding ceremony that was organized both indoors and outdoors. 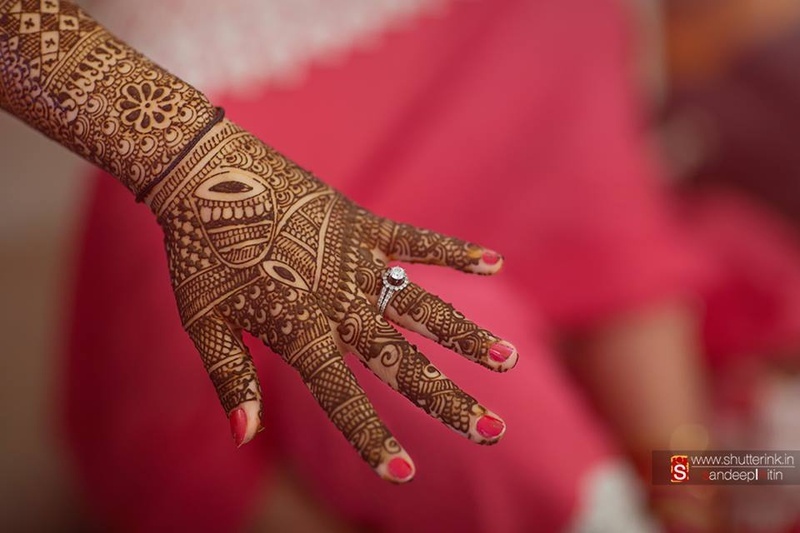 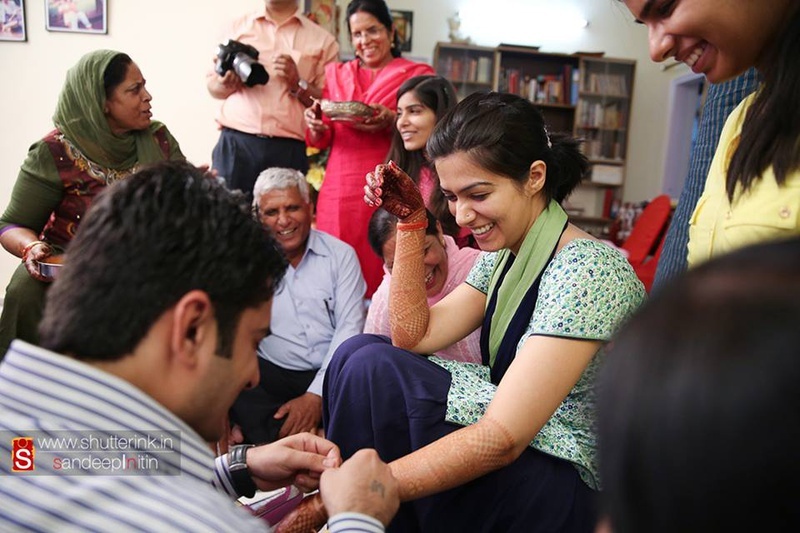 Their wedding celebrations had fun rituals and a sophisticated décor arrangement. 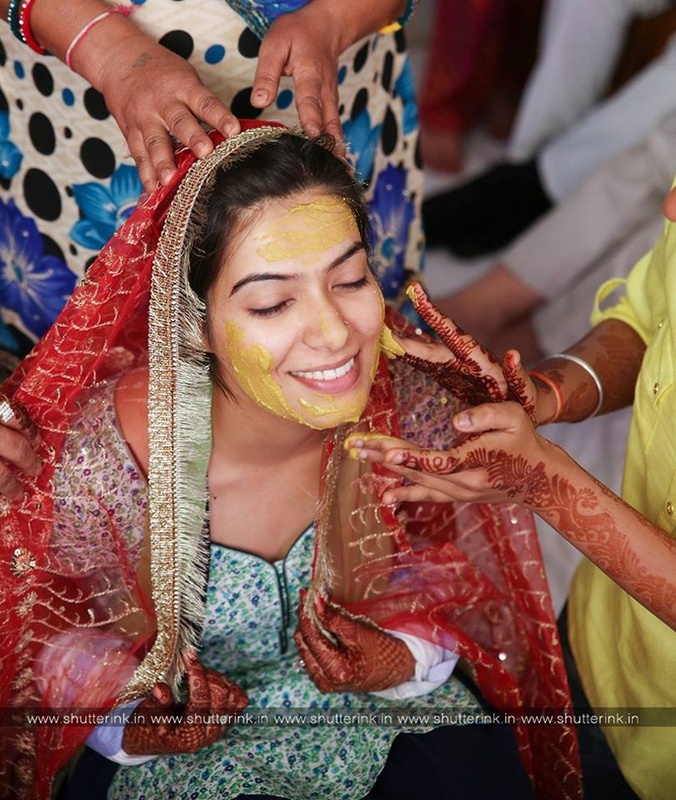 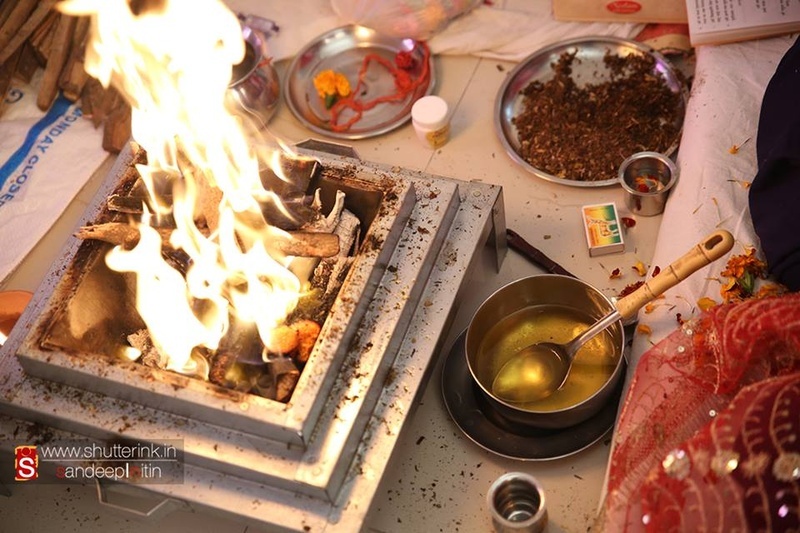 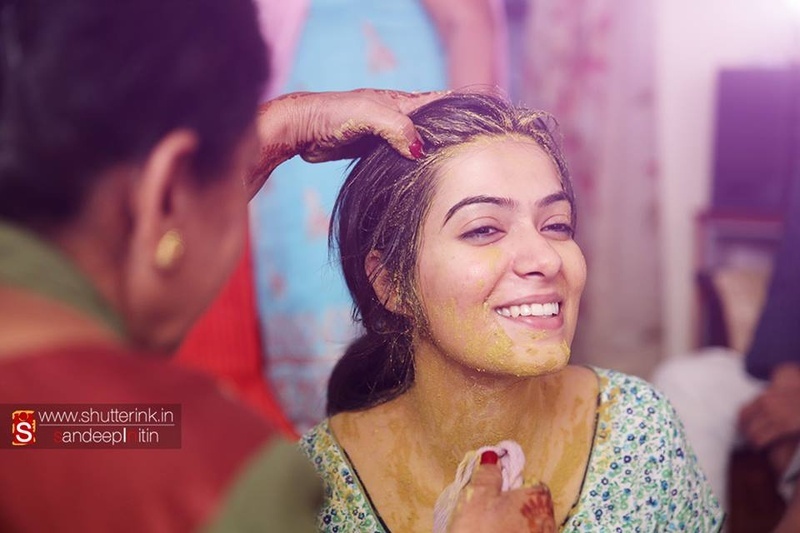 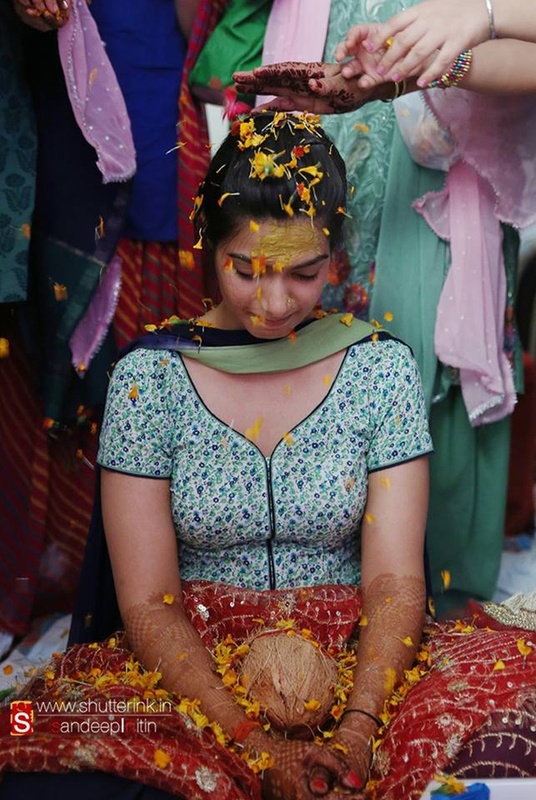 Akriti sat right at the center with a red dupatta over her head for the Vatna (Haldi) ceremony, held in the Punjabi community, in which the bride is made to sit across a holy fire and turmeric paste is applied on to her face, hands and legs by her loved ones to bring that natural glow on her big day. 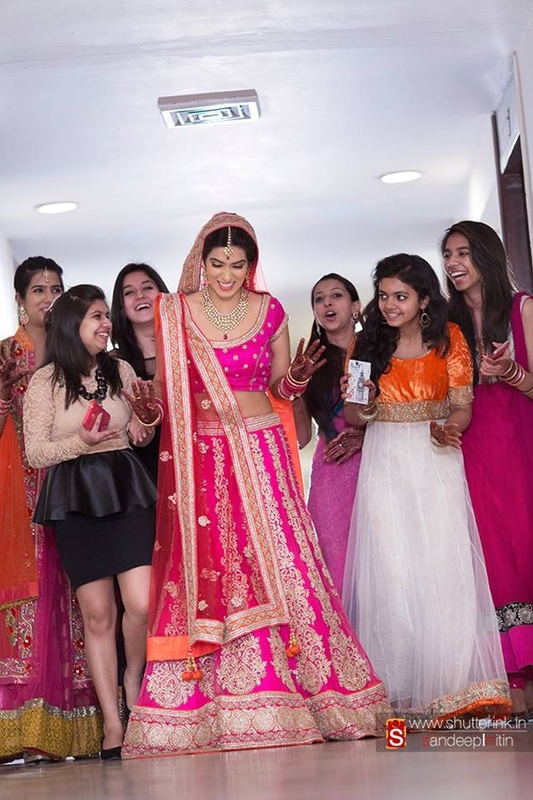 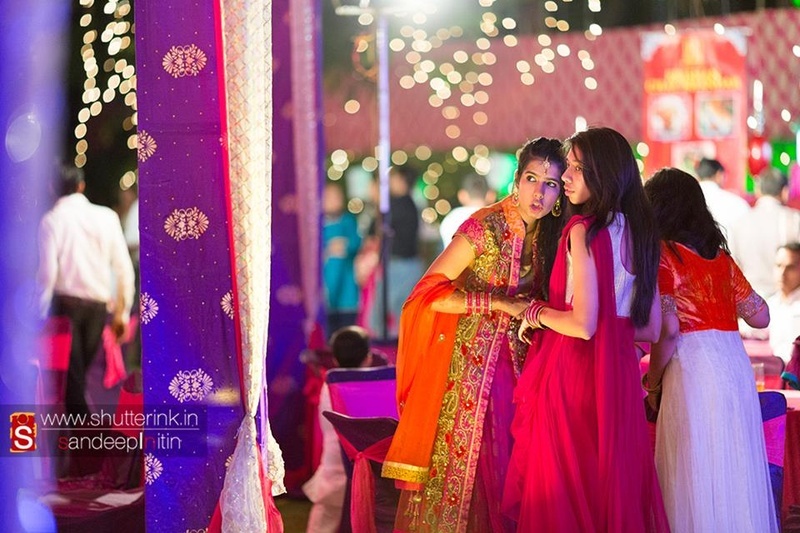 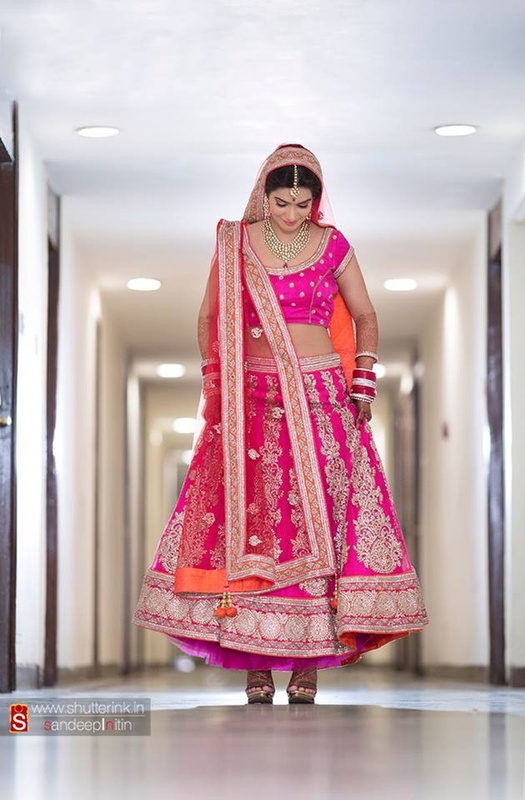 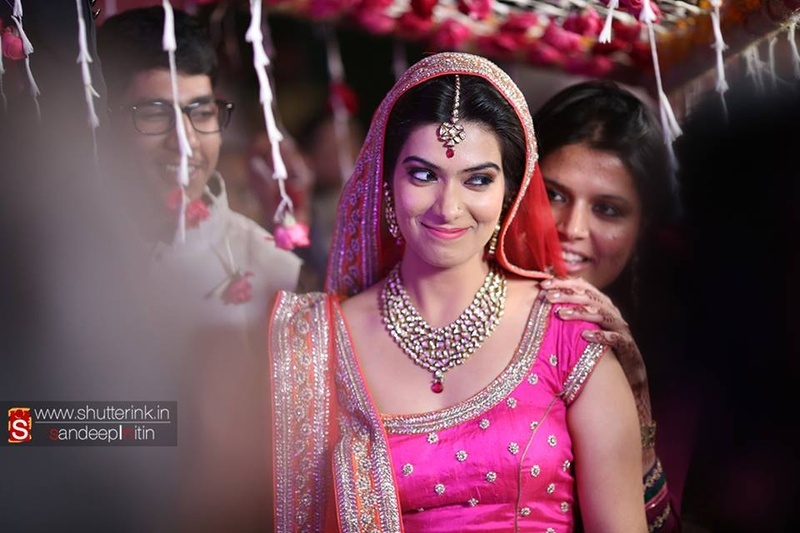 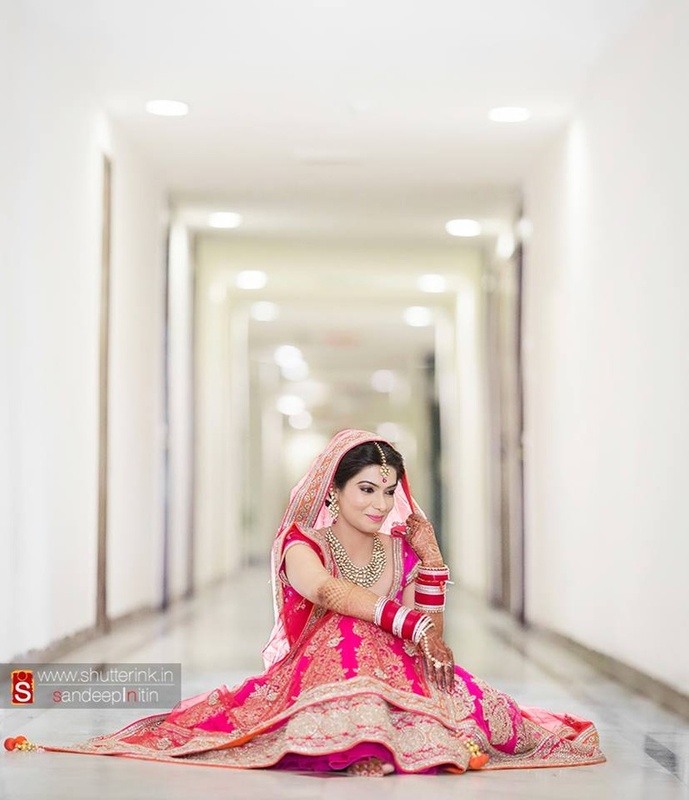 With her entire entourage right behind her, Akriti walked in wearing a rani pink lehenga, with a heart full of happiness and love, ready to be one with her best friend. 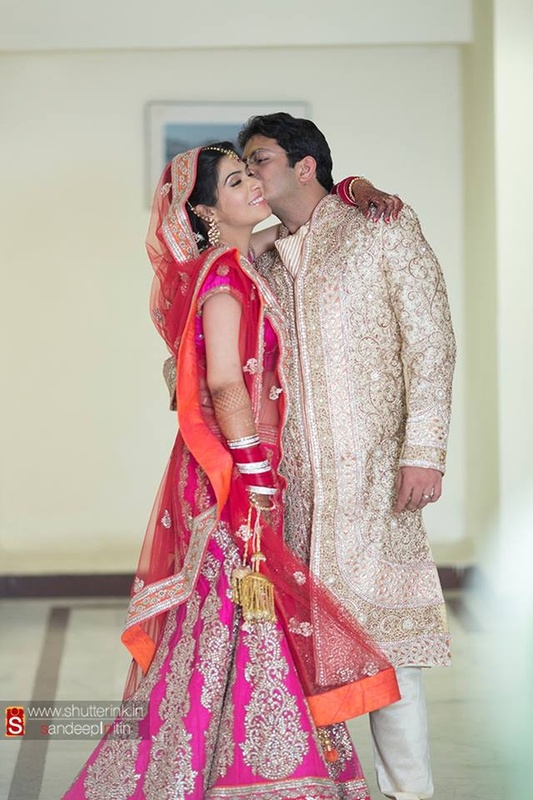 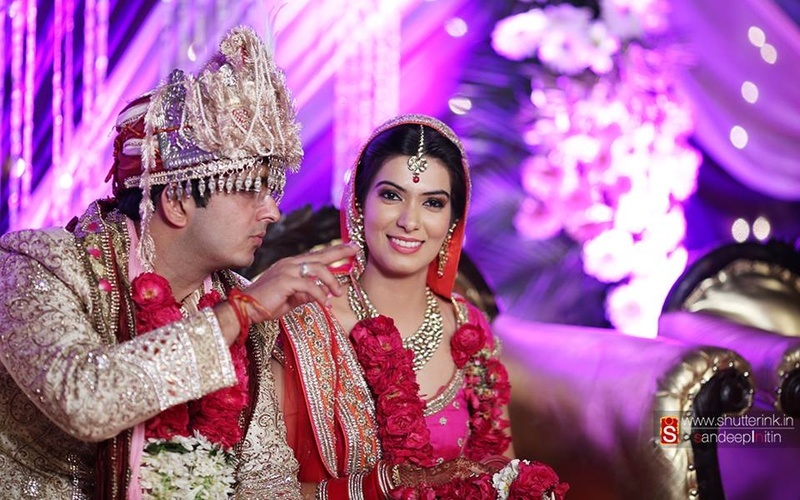 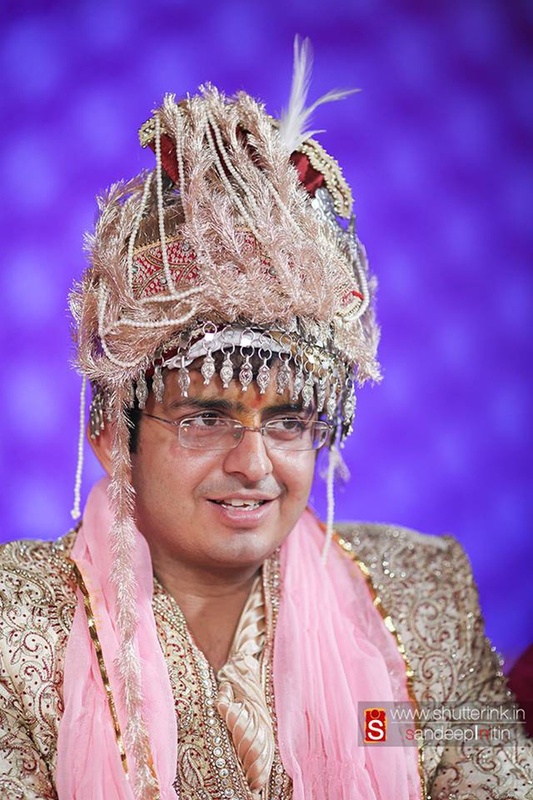 Ankush wore a traditional cream sherwani that was embellished with stones. 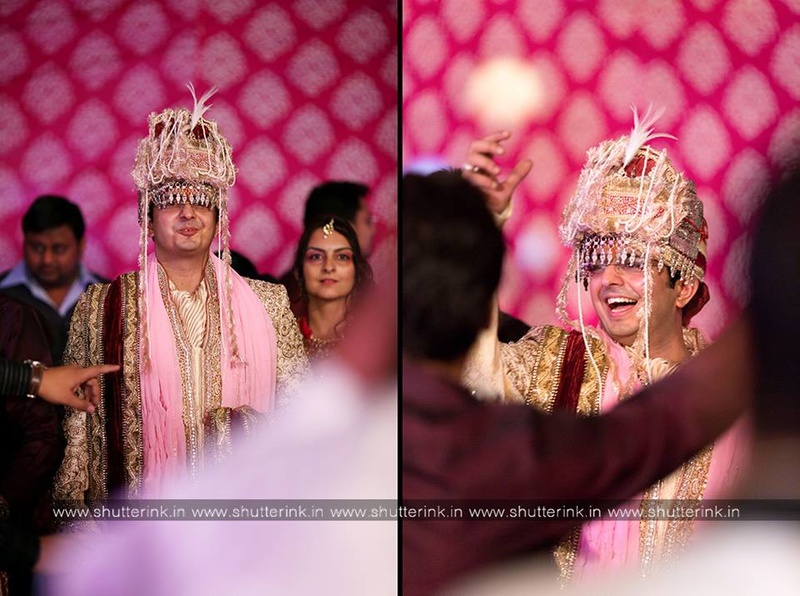 He styled it with a crush dupatta and had a traditional safa. 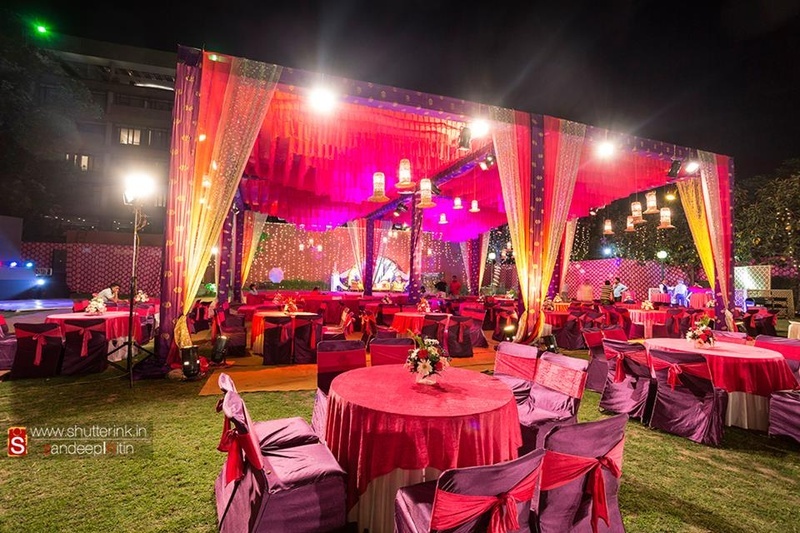 The couple tied the knot in a beautifully lit wedding mandap with gorgeous draping. 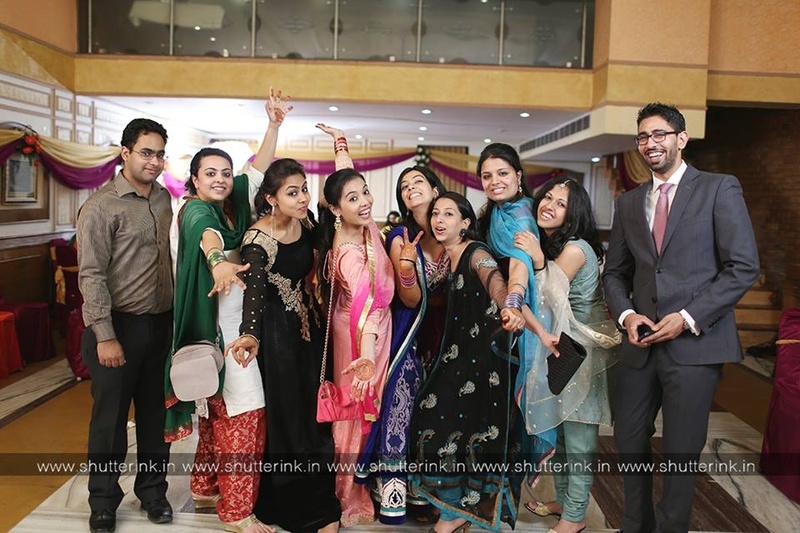 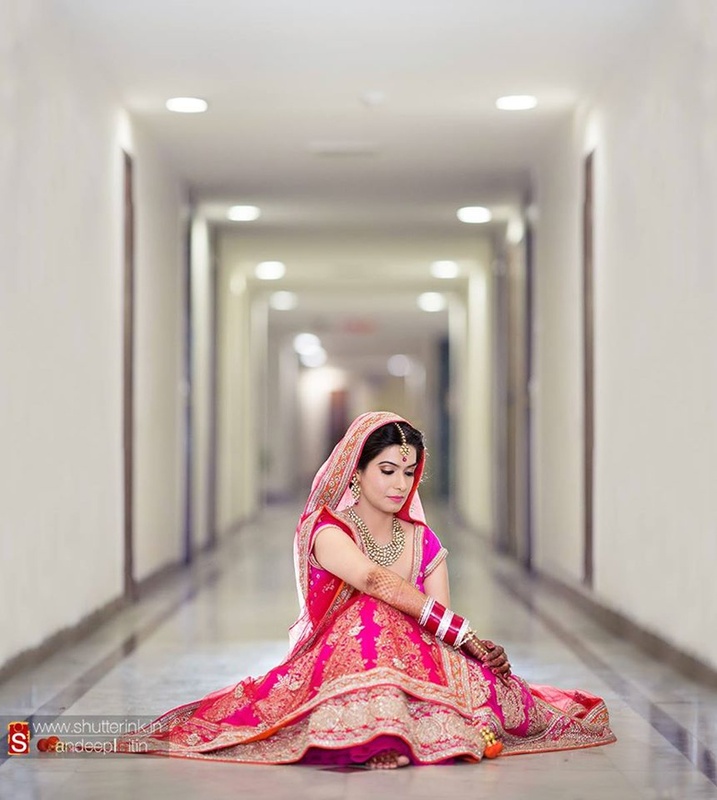 Whether it was the playful candid post-wedding photos, the Haldi ceremony or the grand wedding itself, Shutterink was behind every perfectly captured image! 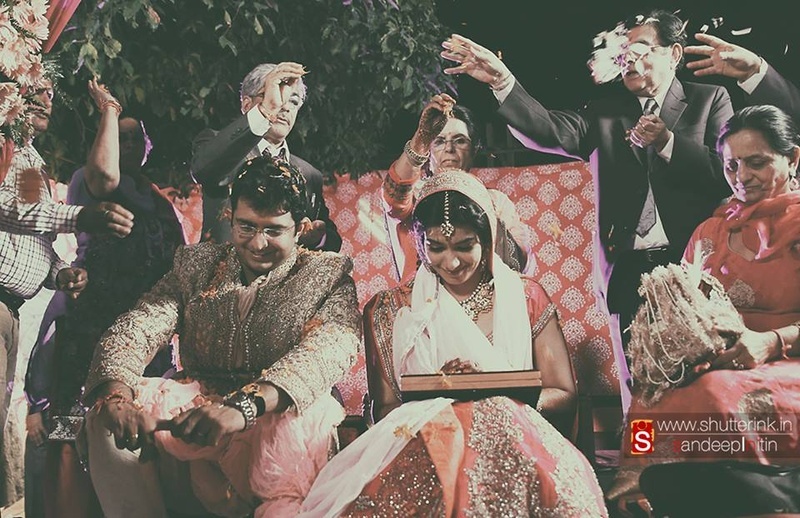 Here’s a glimpse of their magical chemistry spilled out in photos.